As I listen to Anna, my guide, telling me about what life was like here during WWII, I look down. What I see makes my stomach clench in disgust. I’m standing on a floor which is tiled with swastikas. I want to get away from this room, but I stay and listen, and look, taking everything in. 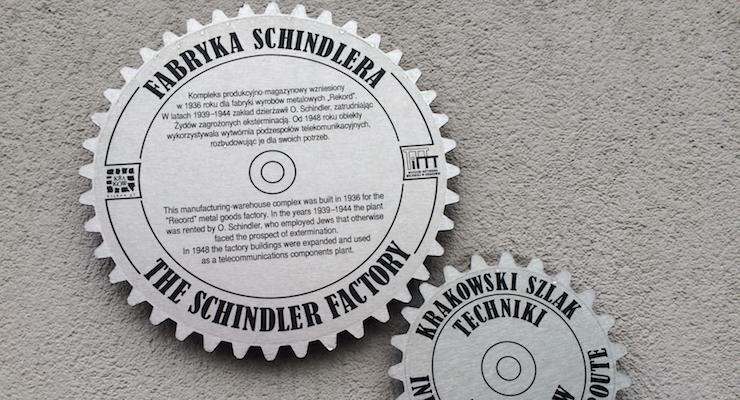 I’m on a tour of Oskar Schindler’s Factory in Kraków, Poland. 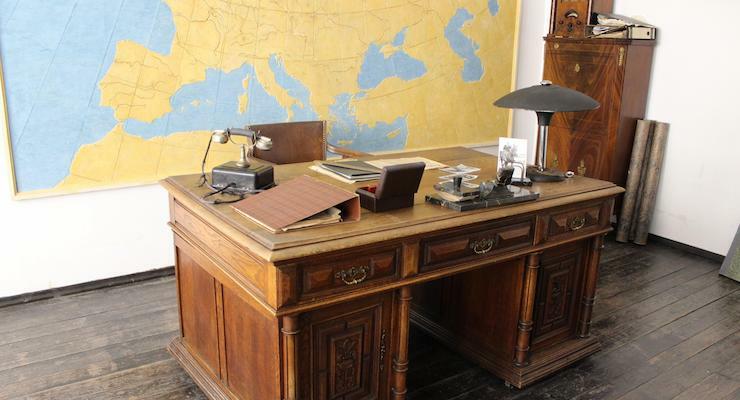 The factory is now home to an outstanding museum about life in the city under the 1939–1945 Nazi occupation, with a museum of contemporary art next door, but during WWII it was an unlikely sanctuary for hundreds of people. The story of Oskar Schindler and the 1200 Jews that he saved from the Nazis was made famous by the book and film Schindler’s List. In case you don’t know what happened, Schindler was a member of the Nazi party and a war profiteer who took over a Jewish-owned factory in 1940 and employed Jewish workers as cheap labour. Once he realised what the Nazis were doing to Jews, he did everything that he could to protect his workers, and eventually built a labour camp for them near to his factory, thus saving them from the death camps. At the start of WWII there were around 60,000 Jews in Kraków. Only around 6,000 of these survived the war. After the war, Schindler was honoured by Israel with the title of Righteous Among the Nations for his actions in saving the lives of his Jewish workers. The museum’s permanent exhibition shows what everyday life was like for both the Jewish and the non-Jewish citizens of Kraków during the occupation. Photos, videos, sound recordings, eyewitness accounts and everyday objects are displayed together to give a chronological account of life in the city during this period. There are 45 rooms in total, and each shows a different aspect of life at that time. One of the first rooms in the exhibition is a railway station waiting room where there are deckchairs in the corner and posters about troop mobilisation on the walls – the German invasion began on September 1st, 1939, when many Poles were on their way home from their summer holidays. As I walk through the museum I learn how the German invaders closed down all of the city’s schools, sent academics to labour camps, controlled the press, imprisoned and executed members of the resistance and killed anyone protecting or helping Jews. I see that the city’s Main Square was renamed Adolf Hitler Square. I’m reminded of how the Nazis created a Jewish ghetto away from the city centre, then eventually transferred all of the Jews from the ghetto to concentration camps. There are stamper ‘memory machines’ at five points in the exhibition, to mark key historical moments in the city during that period. At each of these points you can take a card and stamp it to take away as a reminder of what happened here. One side of the card is in Polish, the other in English, and the final card is dated January 18th, 1945, when the German occupation of the city was ended by the Russians. 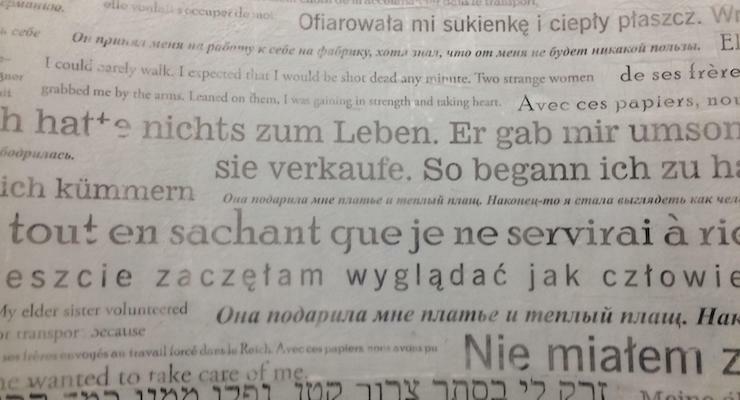 One of the rooms in the museum has curving walls displaying memories of people’s kind actions during the dark time of the German occupation, in a variety of languages. As I stand inside the room, reading, silent, I’m reminded that kindness can make a difference, and that the memory of kind actions shines through time, and endures. Anna says that Schindler’s story gives her hope that bad people can change and can do good things. At the end of the exhibition is the Room of Choices: inside are two books which contain the ethical dilemmas which people faced at this time. One book is white and contains ‘good’ choices, the other book is black and shows ‘bad’ choices. I know that the choices which we face in life aren’t always black and white, but I’m thankful that there are people such as Oskar Schindler who are brave enough and strong enough to make tough choices and do the right thing. I hope that I would be strong enough and brave enough to make good choices in difficult times, and I hope that his actions will always be remembered. 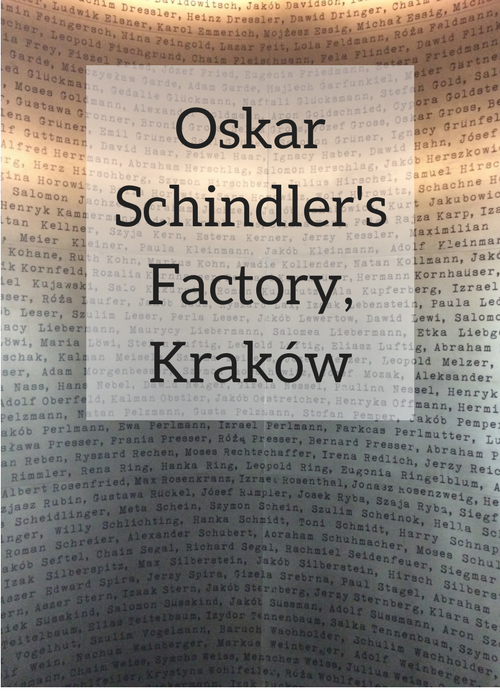 The exhibition at Oskar Schindler’s Factory is excellent. I loved this museum and would definitely recommend it. I’d like to go back and spend hours and hours there taking everything in. I probably wouldn’t go there with young children, as there’s a lot to contemplate. You can read more about my trip to Kraków in my post A weekend in Kraków, Poland. I stayed at the four-star Hotel Kossak in the city centre, within walking distance of the main sites, and which I’d recommend. 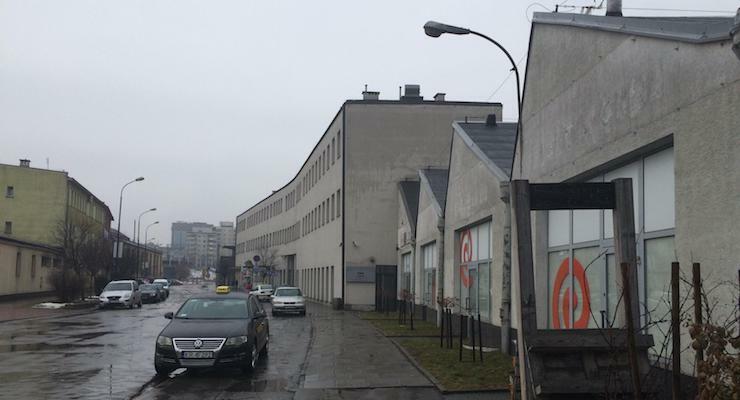 Entry to Oskar Schindler’s Factory costs 21 PLN (about £4.00) per person. It’s best to book in advance as the museum is very popular and entry is limited. The museum is away from the historic city centre. I travelled there by tram. If you’ve visited this museum, what did you think of it? If you haven’t, is it the sort of place which you’d like to visit? Disclosure: This post contains affiliate links, which means that if you clicked through and booked I may receive a small commission. My trip to Kraków was sponsored by Holiday Extras. I received free entry to this museum, for the purposes of this review. All opinions, words and images are my own, as ever. 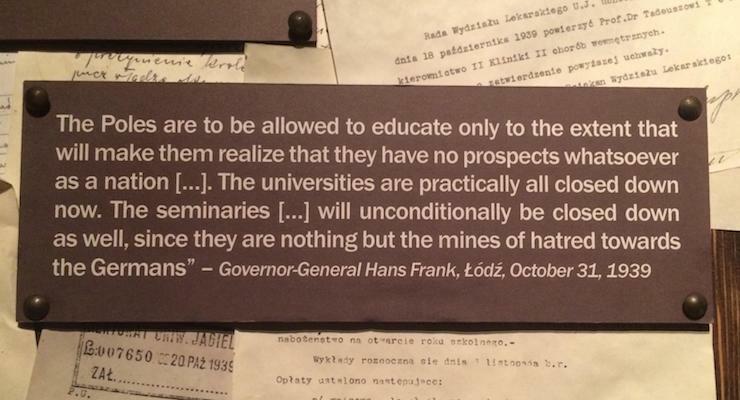 That must have been such a thought provoking tour – I went to Auschwitz when I visited Krakow years ago but not this tour (if it was running). So moving, but I think remembering those lessons of history, seeing the darker chapters of the places we visit is so important. It really was. I think it’s a fairly new museum, so may not have been open when you last visited. Thank you for sharing that. I’ve never been to that museum but we will be visiting Berlin next month and I do wonder about visiting WW2 museums with the kids. 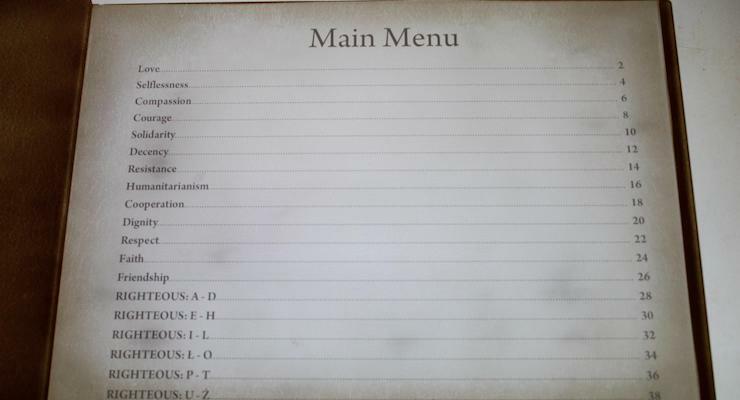 The educational value is clear but I wonder about the emotional toll. You’re right, we definitely need to be aware of that as parents. I read the book years ago – but I didn’t know that it originally had a different title – thank you! You’re right – this one’s unique!